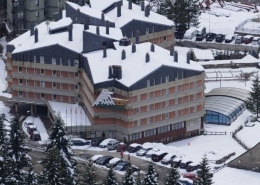 We absolutely love the resort of Baqueira Beret! We arrange activities in the evenings such as snowshoeing, ice rink and the popular “pincho pote” tapas tour where we visit the old town of Vielha on a Tuesday evening. 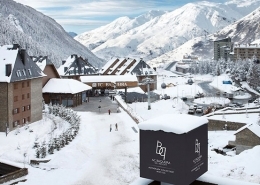 When it comes to the slopes, this resort in the Pyrenees has it all. 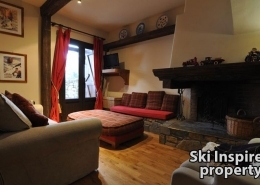 Boasting 150 kilometres of pistes, including three beginners areas, plenty of wide, cruising blue and red runs for the more intermediate skiers and some fantastic off-piste opportunities for the advanced and adventurous skiers out there. Don’t just take our word for it; check out the impressive piste map. The majority of lifts are chairs and the queues are the shortest you will find on any ski resort. 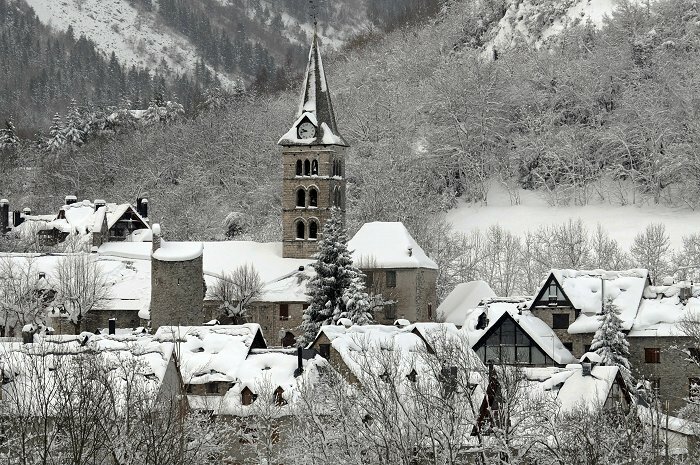 The village has a unique charm reflecting its location in the Val d’Aran, brilliant, authentic cuisine in the form of tapas bars and restaurants and for those who enjoy their après ski, some fun and lively bars. There are high quality hotels and shops. Some of the bars and shops are hidden behind the main complex so it’s worth exploring. But don’t forget the Spanish siestas! Everywhere is closed between 1 and 5pm but they re-open in the evenings. If you are driving up to the resort from further down the valley, the main car park has a small diesel train which takes clients up from the car park to the lifts. 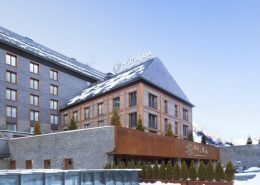 Famously the ski resort of choice for the King of Spain, it’s the perfect place to bring the whole family. Do you know the Baqueira spirit? Whether you decide to drive, fly or take the train, you can be sure of a warm welcome when you arrive in Baqueira. If you are a confident red run skier there is no better way to enjoy your morning’s skiing and get to know the slopes. Childcare is available in the mornings, babysitters can be arranged in the region of 15 euros per hour. 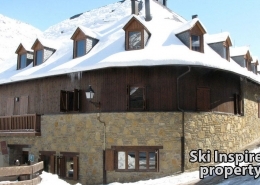 We lease a hotel in Vielha and a selection of apartments next to the slopes in addition to offering a range of larger hotels across the valley. Use the arrows to scroll. We do not hold an ATOL license to sell flights but can research options for you if you contact us (also try www.skyscanner.net). We do have a trust account facility to protect your money in compliance with the UK 1992 Package travel regulations. Fly: The nearest airports are Toulouse (104 miles, two hour drive), Lourdes (54 miles, one hour 45 min drive) and Barcelona (195 miles, four hour drive). Train: We are agents for Rail Europe and the journey is eight hours from London to Toulouse. Contact us to book. 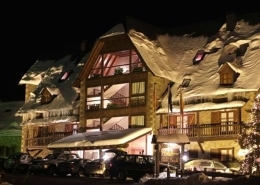 The nearest train station to Baqueira is Montrejeau in France – about one hour 15 minutes’ drive to the resort. The train takes 12 hours from London to Montrejeau. If you would like us to collect you from Montrejeau, please contact us for a transfer price. Alternatively you can take the train from London to Barcelona and then take a bus to Vielha, the nearest big town to Baqueira. Buses run twice-a-day, costing €40 for a single trip. The timetable can be found on the ALSA website. 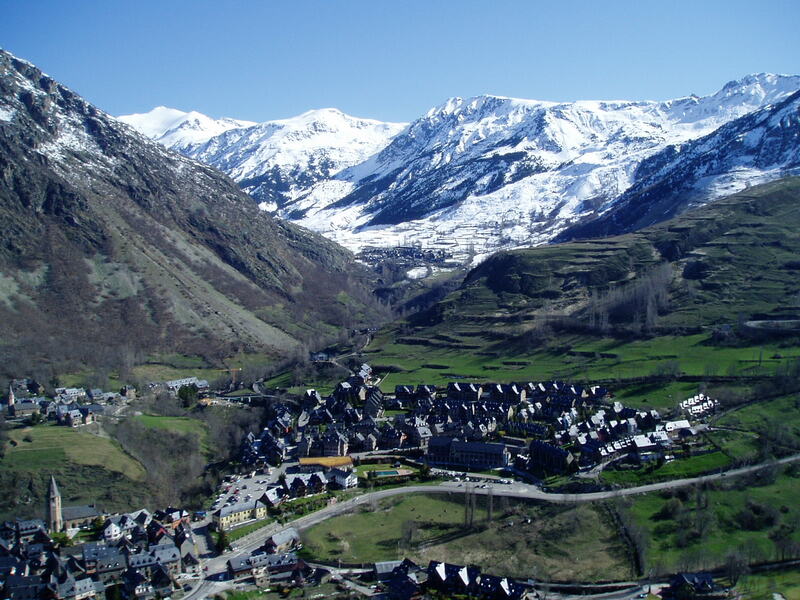 Drive: Baqueira is about 700 miles or a 12 hour drive from Calais. There are several ferry operators to cross the channel with such as AFerry, P&O Ferries, and DFDS. You could also look at Eurotunnel. In France, it is best to follow the main autoroutes. Although you have to pay tolls it will save a lot of time and is more direct. From Calais the main route goes via Paris, Orleans, Limoges, Toulouse and Montrejeau. From there, take the N-125 and N-230 to Vielha, from where the C-142 goes into the resort. Car hire: You can book your car hire through Ski Inspired car hire. The numerous off-piste options in Baqueira are a great reason to keep coming back. There are many fantastic areas that are easily accessed by traversing or a quick skin across from the top of a chair lift. Within our team we have experienced instructors that can take you down the controlled itinerary runs in Baqueira and also back country guides who can take you further afield to experience ski touring and heli-skiing. “Escornacrabes” is the itinerary run that Baqueira is renowned for and literally translates as “tumbling mountain goat”! Often closed first thing in the morning until the snow softens, it works well to take one of our guides for half a day to warm up in the off-piste areas in the Argulls area beforehand. The entrance is steep and narrows before the run goes into a steady traverse that finishes at the Moet champagne bar in the Orri valley… a well thought out run! Other itineraries well worth doing are Deth Lac de Baciver, Lacs deth Clot der Os and some of the older ones, no longer marked on the piste map, such as “Marconi” and “Pasarells”. For shorter runs further afield that normally involve a small amount of ski touring, then consider the runs down to Bagergue and Montgarri. Away from the Baqueira ski domain but easily accessible is the heli-port in Vielha. Newcomers to heli-skiing can consider a shorter and cheaper run from the top of the old “La Tuca” ski station, while more experienced skiers may want to consider venturing into the “Lagos de San Mauricio National Park”. This extensive and relatively remote mountainous area is known for its amazing ski terrain including peaks such as the Montarto (2830m), Salana (2485), Punta Alta (3014m) and culminating with the glaciers at nearby Pico de Aneto (3404m). Ski touring is gaining in popularity every year and we work with a couple of specialist shops in the valley who hire out the necessary equipment. 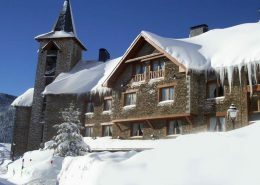 Salardu is three miles from Baqueira. It is a traditional village with stone built buildings and plenty of character typical of the valley. On Sundays, you can visit the 12th century church with its recently restored tapestries and explore the narrow cobbled streets of the village. It is a quiet village and there are a selection of bars and restaurants all of good quality and with a friendly reception. In the village square is a converted barn which is the most popular bar – the ‘Eth Bot’. Its menu features the likes of wild boar, pigs trotters, partridge – real Aranese specialities. From Salardu the village of Unha is a 10 minute walk away, offering a small selection of bars and restaurants in a romantic setting. The village of Bagergue is a 30 minute walk from Salardu and offers a selection of restaurants in a tranquil setting, we recommend the Unhola restaurant as a great place to eat. 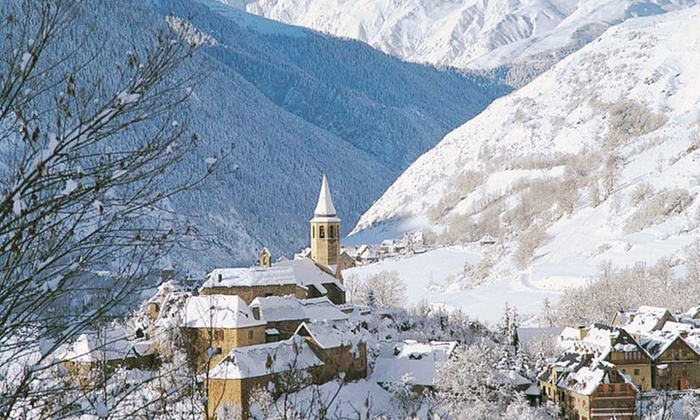 These villages can be skied to off-piste from Beret, if you know how! Why not consider hiring a guide from BBSkiSchool? We can offer a range of accommodation through the resort agency, contact us for further details. 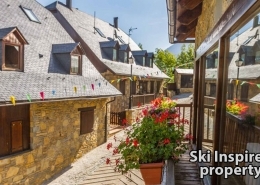 Arties is four-and-a-half miles from Baqueira and is the oldest and most popular village in the valley. The Montarto peak creates an imposing back drop to the village and has provided many challenges to the more extreme mountaineer. There are a number of old buildings which have been restored, including the 13th century church which stands on the main road. The village is built around the convergence of two rivers and the mixture of tradition and tourism makes for a great atmosphere. There are several bars and restaurants of excellent quality and price, we recommend Pollo Loco and Pinotage as great restaurants to eat at. Hotspots are the renowned ‘Urtau’ tapas bar, the Casa Irene restaurant and the La Luna late night bar. 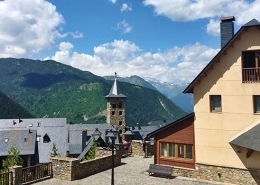 Vielha is nine miles from Baqueira and is the principal town in the Val d’Aran. It has a substantial community with more than 4,000 permanent residents and offers all the facilities you would expect from a larger town. It is built around the junction of the river Garone and the river Nere. There are plenty of shops, bars and restaurants as well as large supermarkets and commercial outlets. 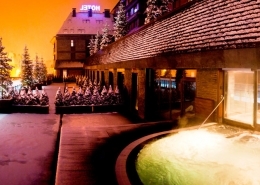 The ice rink and swimming pool complex is also worth a visit. Although not immediately obvious, there is an older part of the town with cobbled streets and architecture typical of the valley. Most of the tapas bars are in this area, offering great value for money. 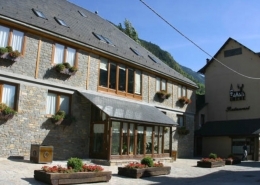 Bed and breakfast deals are a real option in Vielha, due to the amount of good quality restaurants at sensible prices. 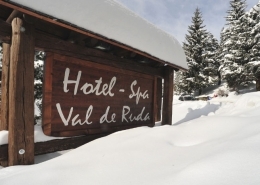 We are proud to have our own hotel ‘Era Borda’ as one of the options with a shuttle bus to our office opposite the slopes. We can offer a range of other accommodation through the resort agency, contact us for further details.